Hifiman is now fast becoming one of the recognized leaders in high end orthodynamic headphones and its current stable just got a shot in the arm with the announcement that the HE300 and HE500 got their prices reduced to $250 and $699 respectively so ortho-fanatics rejoice. 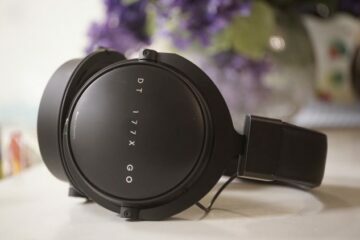 However this article is not about the latest and greatest but rather a throw back to the moment when Hifiman put their mark on the map with their very first orthodynamic headphone – the Hifiman HE5. Now sure its discontinued, getting harder to find and Dr. Fang and the team have since built on the feedback it received and released better and better sounding headphones such as the HE4/6/5-LE and the H300 as the first ever dynamic headphone from them, but I tell you this; they will be hard pressed, unless they return to wood, to come up with such a beautiful looking headphone again as the HE5. 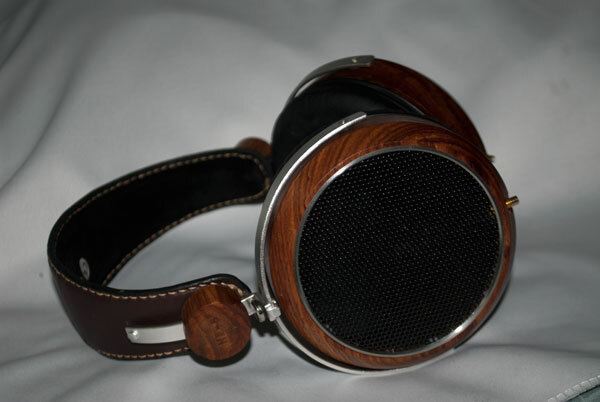 For me personally, as a work of art, its truly stands out as one of the most beautiful headphones I have ever seen. Sure the HE6 and HE5-LE might have it licked and the HE500 might be streets ahead in the consensus and approval of headphone lovers, but as a spectacle of design I find it most distracting indeed. So much so that I asked our kind sponsor, Hifiman, if they had one lying around and sure enough they did and here we are now and man the pictures do not do it enough justice. The wood is amazing, really stunning. For those that wonder why, after such a fantastic debut, did they switch to the more sombre but no less classy black plastic casing that they are now famous for. Well truth be told the wood encasing was not simply durable enough in the long run with a ton of cracking issues. 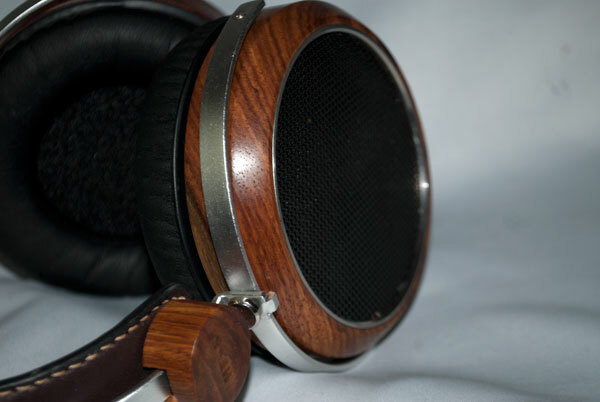 Rather than take a risk with the wood Hifiman switched to the classic black casing and that was that as they say. Pity that and I do hope they do try again but in the meantime lets have a nice little retro sit in and see what it could and still can do. Of course the package is very similar to the current range with the black molded rubber box with a custom crafted internal housing for the headphone, a spare velour pad to back up the existing stock velour pads, the spare connectors and of course the cable. Now interestingly the cable offered was not the same as the current crop of cables being used by say the HE300 which has picked Cardas. This was a more lightweight silver braided cable with the usual screw in connectors. Given the perception that the HE5 was a treble happy headphone I was understandably a little concerned that adding silver would given even more treble emphasis. Plugging the HE5 in though my fears were soon allayed and I will explain a little more about that later. The second major problem we have with the ortho range of the HE’s was the need to power to drive them. 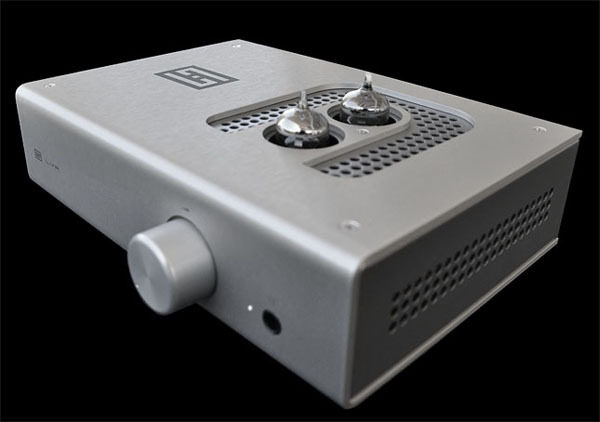 Luckily since the HE5 came out, new headphone amps have since come on the market that cater specifically to power hungry headphones such as early march of the Hifiman Ef5 and the newer kid on the block, the Schiit Lyr – both tube driven (though hybrid in design) and both with some serious clout that renders the power question largely moot unless you move up to the higher end HE6. With the added tube coloration also my expectation was the Lyr at least should be able to smooth out any sharp edges the HE5 had in the highs often seen as the HE5 achilles heel. 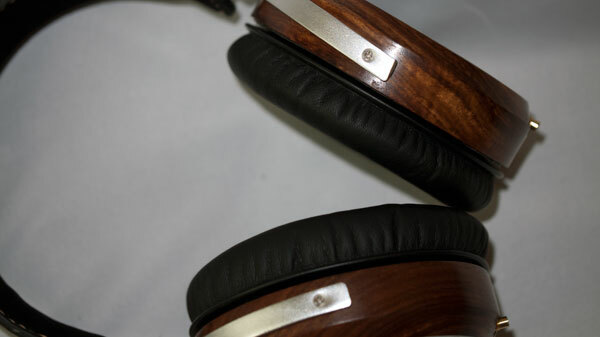 The one final change we have had since the HE5 came out is the recent introduction of leather pads that can replace the older stock velour pads of the HE series of headphones. When trying the leather pads with the HE6 there was indeed a marked difference in my ears – less airy, slightly darker and the treble not so piercing but with a slight loss of sound stage. Slipping on the new leather pads onto the HE5 though combined with the Schiit Lyr in my mind gave a fuller sound then previously with the velours without thinning out the treble though sound stage did suffer slightly but not noticeably. The comfort factor is much nicer now than the velour. Having a small head they tended to hang on my ears but not so with the leather pads. Isolation did seem to increase slightly also. The new pads now have a small felt ring raising the pads further and your ear also from the driver which sadly I don’t have as of now but will be keen to try them out eventually. So with the addition of a good tube amp (Lyr), leather pads and a armed with a range of FLAC how does it sound these days and how does it compare to the newer models? In a nut shell it stacks up pretty well in all honesty. It’s distinctive treble qualities still, in my mind, shine above the HE5-LE which is a tad more laid back in nature, particularly on detailed tracks usually associated with orchestral, jazz and acoustics. Less so on more modern genres such as rock where the aggressive treble tones once again come to the fore forcing a few time outs due to one or two unacceptable sharp spikes. Notable mention must got to the Lyr which is a match made in heaven with its smooth and warm GE 6BZ7 tubes and oodles of power on tap. Schiit have really done their homework on the ortho scene and the Hifiman HE range benefits hugely from hooking up to the Lyr. The EF5 itself is also a fine match but just not quite as meaty as the Lyr in my opinion. Then again 2.5w versus 6w is a big enough difference to be noticed and the addition of the GE tubes gives it an edge in tonal quality than translates to a smoother playback on the HE5 to my ears. It’s not all treble though with the HE5. When called for it delivers a nice and punchy bass response that is tight rather than flabby. Throwing on DeadMau5 or Benny Benassi (my usual reference tracks) really pushes the bass hard and in truth the HE5 (and lets not forget the Lyr) respond really well. The overall sound can be considered clean and on the bright side of neutral but only on certain genres did I find it aggressive. The articulation, whilst not on electrostatic level, was superb and handled detail with aplomb. I actually on the whole much preferred the HE5 to the 5-LE for detail on genres such as soundtracks and jazz. The HE5, as mentioned, struggled a lot more on hard rock and guitar orientated tracks with some grating on the top end that the 5-LE handled better overall. In fact the 5-LE is probably a lot more balanced overall in delivery than the HE5, but like those tennis players with a big shot, the HE5’s treble when matched carefully to the music and components really shows it qualities. 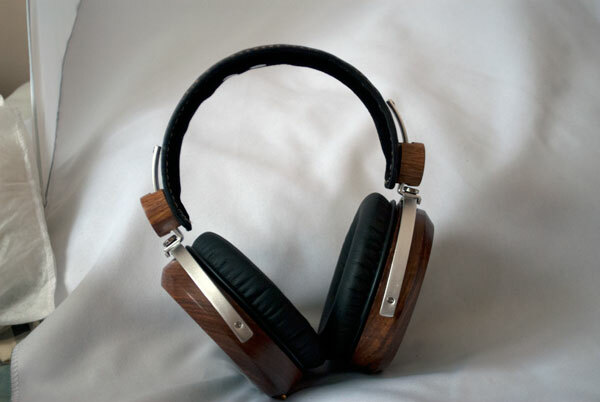 When the HE5 is matched carefully it really is a wonderfully natural headphone with tremendous detail. 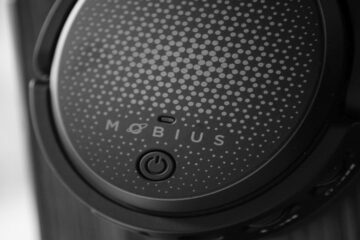 Find that right genre or song and the treble is an asset offering a very high level of detail which for the price at the time of launch was way ahead of the mid-fi curve. You cant buy this in retail, but you can find it on the used market scene of around $300 – $500 depending on the condition of the unit. If you do find one and you have a good tube amp with plenty of power on tap I would suggest you snap it up before they disappear for good. Good to know that the aged he5, coupled with the newer amps can still stack up with the modern cans of today. So how would you compare the he5 you have heard to the other orthos like lcd2 and he500? The LCD-2 is very different to the HE5. The HE5 with silver cable is a very articulate and nimble performer compared to the more laid back LCD-2 with its high roll-off. Would you believe I have yet to test an HE500?